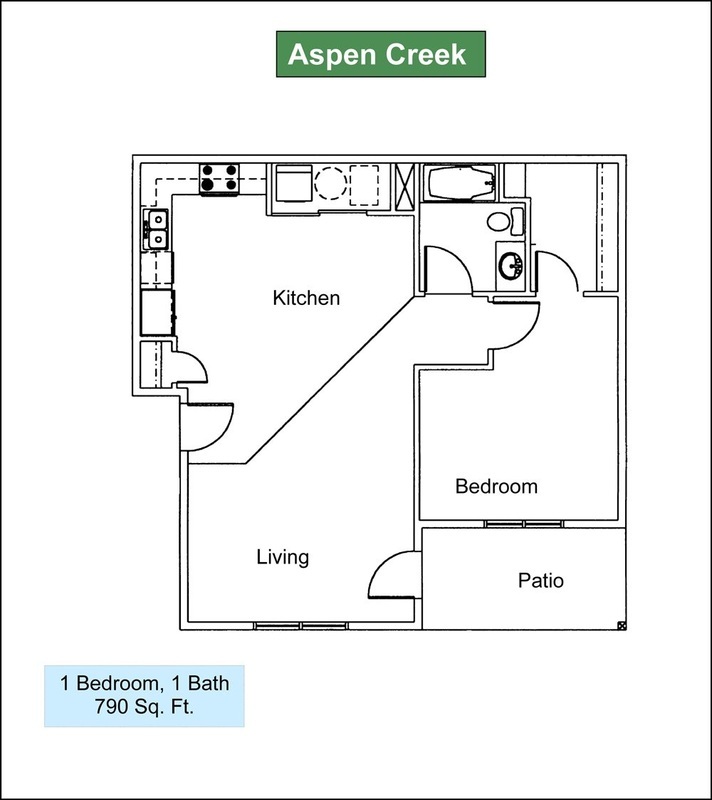 Townhome Features 884 Sq. Ft. One Bedroom One Bath. Direct Access Garage with Opener, Upgraded Kitchens with Pantry, Personal Patios, High Speed Internet Ready, Natural Gas Heat, Central Air Conditioning, Washer & Dryer Hookups. A one story garden home with none of the gardening required. 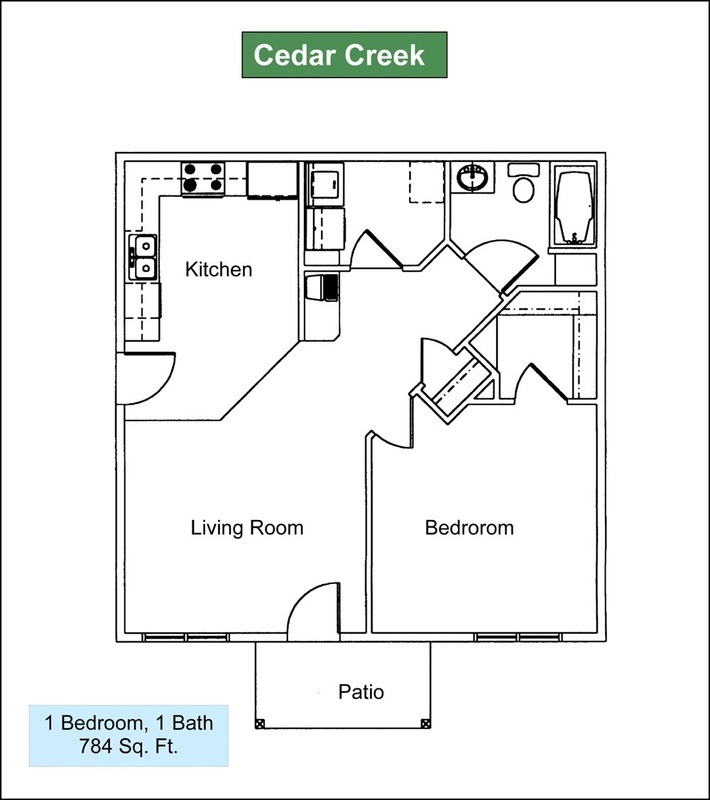 The one bedroom and one bath, Willow Creek is handicap accessible so it has extra wide hallways. The garage is expanded to accomodate vans and wheelchairs and is longer than the floorplan shows.